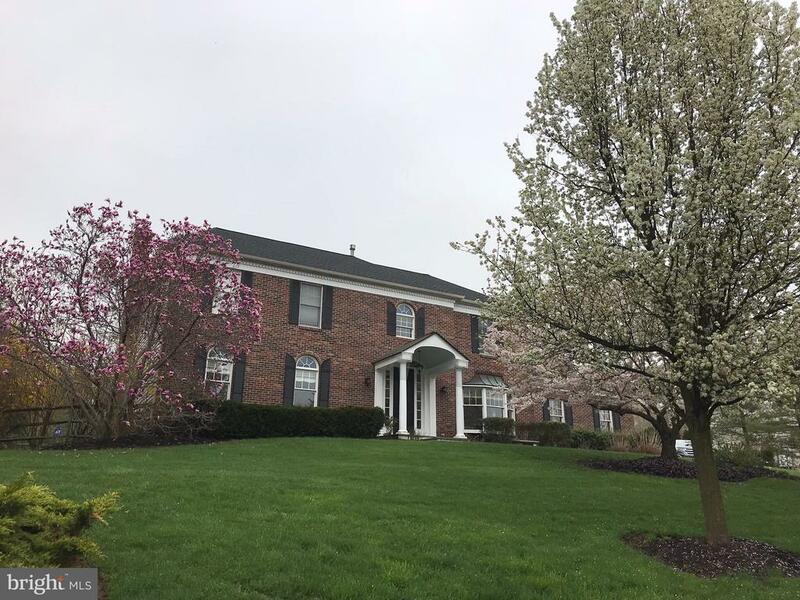 Welcome to the beautiful federal style brick front colonial located in doylestown township just minutes from the heart of the borough. As you walk past the gorgeously landscaped front yard and enter the home through the newly added bluestone porch, you step into the two story center hall. The first floor boasts a spacious living room and dining room with crown moldings and oak hardwood floors. The recently remodeled kitchen includes hardwood floors, granite countertops, maple cabinets, an island with a gas range, double stainless steel sink, a one of a kind tile backsplash, dishwasher, desk area, and breakfast nook with a solar powered skylight. A counter separates the kitchen and the enormous family room which has a full brick wall fireplace with an oak mantle, recessed lighting, and wall to wall carpet. The first floor also includes a powder room, mud room, and a bedroom complete with a full bath that could easily be converted into an office, with access to the two car garage on this floor as well. As you go upstairs past the chandelier and enter the charming master bedroom to be greeted by a large walk-in closet with a dressing area. The newly remodeled master bath features a large walk-in glass enclosed shower with marble tile, and a skylight. The double vanity sink and wood cabinets leave little to be desired. Three ample sized bedrooms with double closets and a recently remodeled hall bath complete the second floor. The partially finished basement includes a built in bar area, recessed lighting, pool/ping pong table, and two storage spaces. The private backyard features a patio, heated in ground pool, and gazebo all surrounded by arborvitae and pine trees. The entire backyard is fenced and would be ideal for family gatherings, cookouts, and making memories. 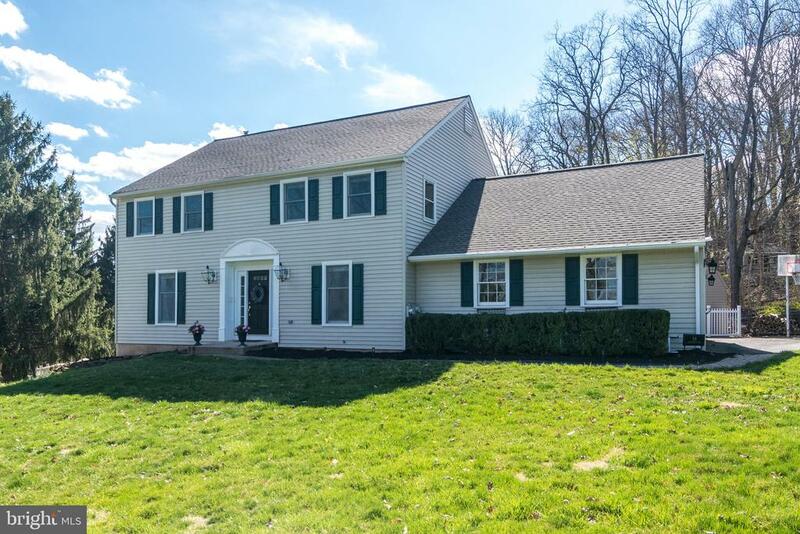 New roof and hvac, central bucks school district, this house has all you would want and is a must see! 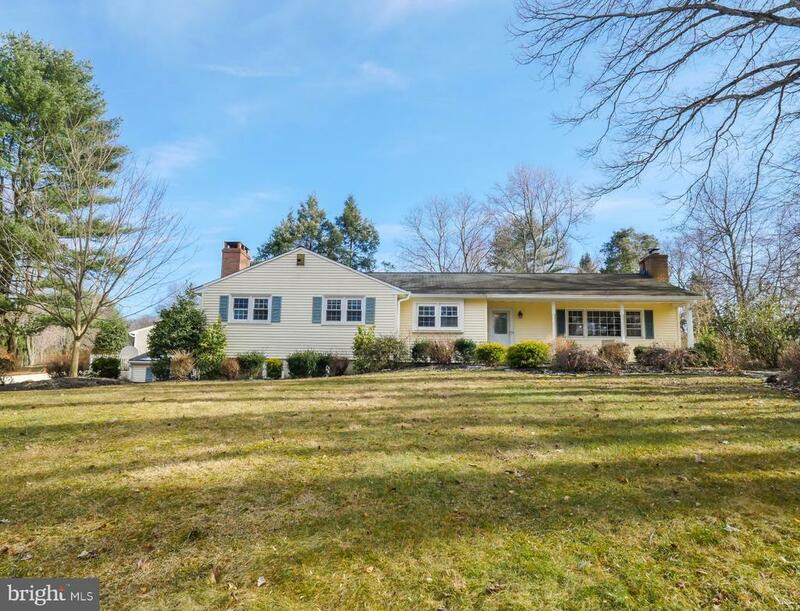 Located in award winning central bucks east school district and centrally located just a few minutes outside of the heart of doylestown, lies this classic colonial in the ridings of buckingham. Upon arrival notice the front porch, big enough to sit and relax in the evenings to mingle with the friendly neighbors. The two story foyer greets you with the front staircase, flanked by the first floor office, currently being used as a second den and the living room. From front to back, the living room blends with the large formal dining room with paneled trim and large windows letting the sun come from east to west in the evenings. Awesome space for those large gatherings as a long table can be expanded to accommodate a grouping of many. As you enter into the kitchen you have an immediate sense of space and tranquility. The white cabinets with granite counter tops, gas range, and stainless appliances make cooking and entertaining enjoyable while the slider to the beautiful backyard lends itself to a delightful space to grill and share with family and company. You may have as big a table as you'd like in the space allowed as the floor space is generous. The expanse of the connected family room is sure to delight as this is the ideal layout for those wanting an open concept. The gas fireplace makes a cozy impact in the soaring ceilings of this room. The wall of windows lets in the bright morning sun, and in the afternoon, the warmer glow. To set this home apart from others, is the back staircase that pronounces the greatness of this room upon ascending to the upper level. The first bedroom encountered from the backstair case is the master. The large vaulted ceilings in the master create a grand notion that is carried on through the sitting/office area with vaulted ceilings as well. There are three large walk in closets here as well prior to entering the master bath, complete with soaking tub shower stall and double vanity. The other 3 remaining bedrooms on this level are sized generously, and have great closet space and large sets of windows allowing for plenty of natural light. There is a nicely appointed shared hall bath on this level with a double vanity as well. To add increased value and space, lets retreat to the lower level through the paneled glass door. There is space allotted for bare, yoga or dance as the flooring and mirror are set up and ready for practice. Plus this area has a large additional entertainment room and an additional exercise equipment area. A large storage room and storing closets help keep you nicely organized. The gas heater and water heater are housed in this area as well. New ac unit!this home sits on one of the largest lots in the neighborhood. Its property lines are shared with the one of the original farm houses so the views are nice and long. From the maintenance free composite decking, sit and enjoy the long afternoons and the western setting sun. The yard has nice flat space for playing and also a little hill at it edges which enhances the topography as well as the playtime. Seller had exterior stucco tested and it was solid! This fantastic neighborhood is tucked back off the main roads providing a nice blend of privacy and the comfort of easy access to everything. Doylestown, new hope, pa turnpike, rts 202 & 611. Do not miss out on this rare opportunity! 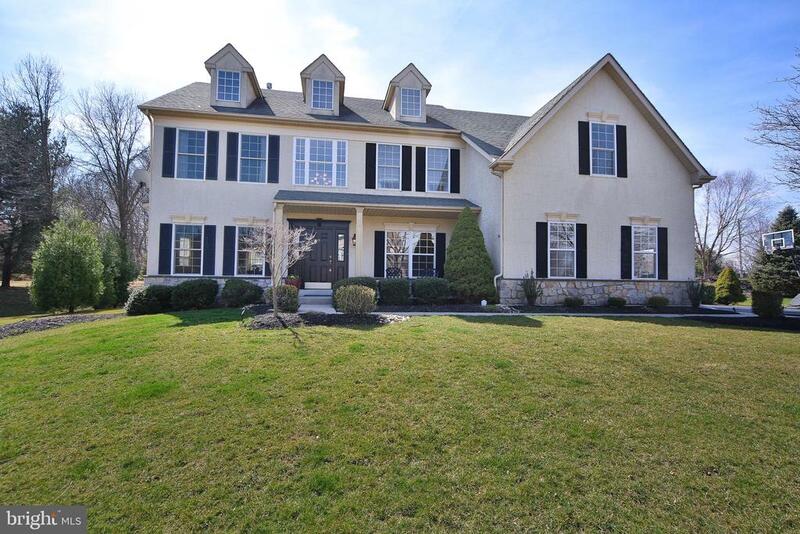 The centerpiece of a thriving neighborhood cul-de-sac in doylestown is this expanded country colonial full of upgrades and custom appointments. A gorgeous rocking-chair front porch leads through a custom-crafted front door to a foyer finished in brazilian hardwoods. A gracious living room is centered by an elegant fireplace that shares its warmth with the breakfast room and kitchen beyond. The kitchen itself is large and inviting, with granite countertops, top-quality appliances and a connected laundry area/pantry with custom soapstone farmhouse sink. An added family room off the kitchen leads to the patio, recently updated with decorative walls and planters. Upstairs are not one. But two main bedroom suites, each generously sized. The centerpiece of the primary bedroom suite is a custom-built walk-in closet accentuated with deep drawers, center island and crown molding designed to store dozens of heels. Two additional bedrooms share the recently renovated large hallway bath. The basement is finished as a playroom space, but also has ample storage space lined with shelves. The roof and the septic system were replaced in the last five years, and the mechanicals include backup hot-water and whole-house fan. There is also a two-car attached garage. 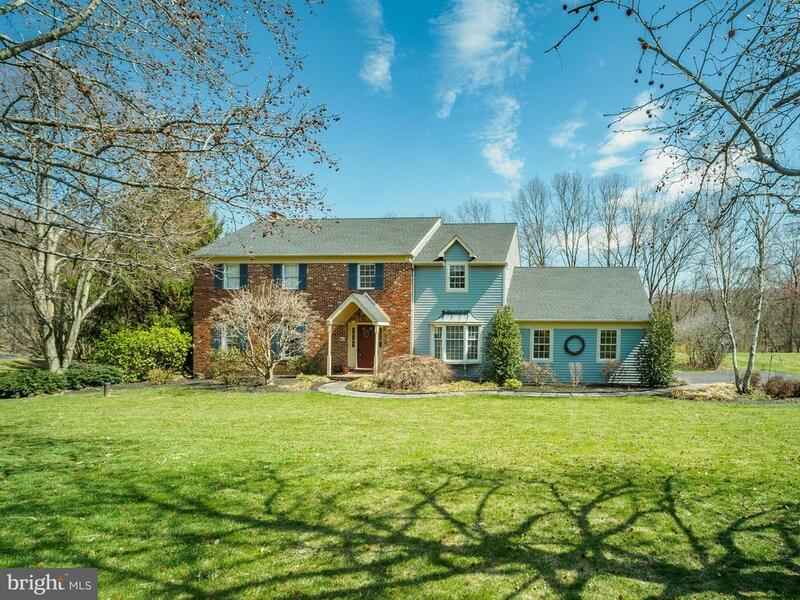 Set on just under one acre minutes from the culture and restaurants of doylestown the house is surrounded by the beautiful tall oaks that give the neighborhood its name. Come see this charming, updated and well maintained home in the desirable "pebble hill" neighborhood. 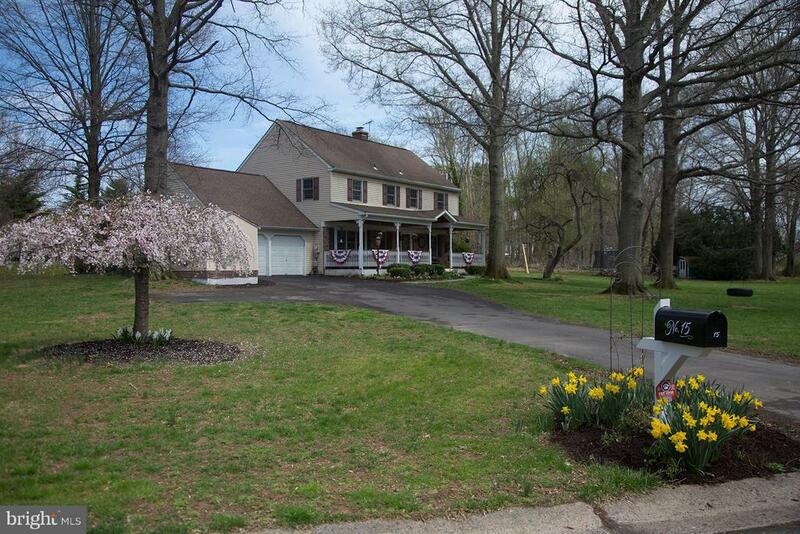 Enjoy a spring evening on your front porch, surrounded by mature, well maintained landscaping. Attention to detail is apparent as you enter the bright foyer, adorned with a tumbled limestone floor. Living room has a lovely white brick fireplace, fresh paint and plenty of natural light. Dining room features a custom built-in for plenty of storage, the spacious dining room flows into the open eat-in kitchen, featuring custom cabinets and a center island. The kitchen has been opened up to the charming family room highlighted by a vaulted ceiling, skylight and full brick wall and fireplace. Enjoy the summer on the screened in porch with vistas of your private, well maintained and manicured backyard. The second floor boasts a large master suite complete with a dressing room and updated bath with an extra large shower. The hall bath has been updated as well and is shared by three additional bedrooms. The basement is partially finished and offers plenty of storage. 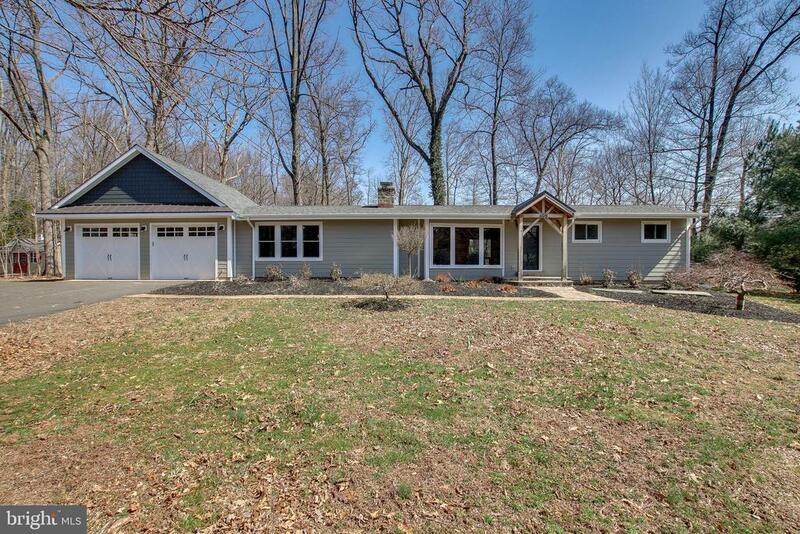 Hardwood floors throughout and attention to details with updates make this a home of quality. 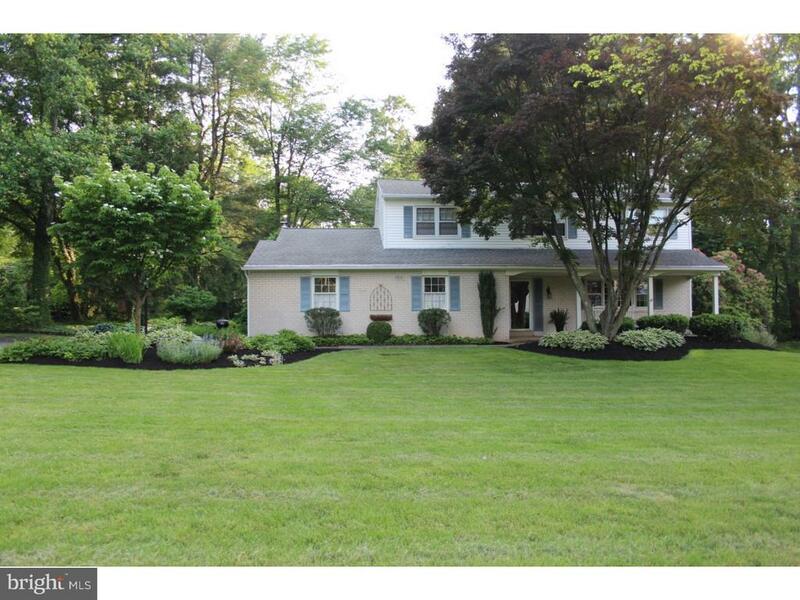 A must see just minutes from the borough of doylestown!